EMERGENCY CALL 000 Air Ambulance Helicopters Air Ambulance Victoria operates five air ambulance helicopters. These are based at Essendon, Bendigo, the Latrobe Valley and Warrnambool. Four helico .. EMERGENCY CALL 000 No matter where you are in Victoria, you will receive prompt, high quality, emergency medical care and transport from the State's ambulance services. Since 1 July 2008 emergenc .. The City of Melbourne's 'Be Aware Be Prepared' campaign aims to educate people about emergency management plans tailored to meet their needs. Emergencies can happen without warning and with devast ..
Bushfire Housing is a central place where people in need of shelter can make contact with people who are able to offer temporary accommodation. Australian bushfires have left thousands of families ..
CFA is one of the world's largest volunteer-based emergency management organisations. The team comprises more than 59,000 volunteers, supported by over 400 career fire fighters and officers and more t .. 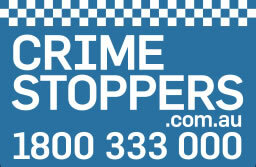 Putting The Finger On Crime - Anyone with information about illegal activity or suspected perpetrators are encouraged to call Crime Stoppers on the national toll free number 1800 333 000. The Crime ..
EventAid | A Real Alternative; Professional First Aid and Medical Services. Australia really does have it all! We celebrate with major festivals and special events throughout the year. From .. Links and information on how to find a telephone number in Melbourne. Directory Assistance Telephone 1223 Emergency - Police, Ambulance and Fire Brigade: 000 Important Information and Telepho ..
Store a contact name and number in your mobile phone In Case of Emergencies Telstra is encouraging Australian mobile phone users to store the name and number of a family member or friend in their .. Incident Alert is a monitoring system that will alert you to bushfires and incidents within the Country Fire Authority (CFA) regions in Victoria. Be alerted to fires in your neighbourhood within ..
Lifeline's 24 hour Telephone Counselling Service : 13 11 14 Today, somewhere in Australia, there is a new call to Lifeline every minute and an average of over 450,000 calls are answered each year. ..
Metropolitan Fire and Emergency Services Board (MFB) - a community safety organisation committed to working in partnership to achieve a safer Melbourne. The MFB is a community safety organisation c ..
Help protect Australia from terrorism. The national security information campaign reminds Australians to remain vigilant and report possible signs of terrorism to the National Security Hotline on 180 .. The effective protection of critical infrastructure from terrorism requires a partnership between government and everyday Australians. Establishing reliable communication channels for security relate .. Response Time puts ambulance response times online and shows where ambulance hot spots are across Victoria. Victorians are waiting longer than ever for an ambulance and our paramedics are under eno .. CALL 000 Rural Ambulance Victoria is committed to providing timely specialist pre-hospital medical care and transport for sick and injured people throughout the rural, regional and remote communiti ..
St John Ambulance Australia is a self-funding charitable organisation active in all states and territories, dedicated to helping people in sickness, distress, suffering or danger. St John is Austr .. The information relates to all days of the year including public holidays like New Year's Day, Easter, Australia Day and long weekends. EMERGENCY CALLS Emergency Fire Police Ambulance - Telephone ..
Victoria Police works together with local community and businesses to identify crime and safety issues and establish effective solutions. Our reputation as the safest State in Australia demonstrat .. The Victoria State Emergency Service (SES) is a volunteer based emergency service, servicing the State of Victoria. The SES has a wide range of roles including planning for and responding to floods ..
St John's WaterFirst will teach you how to save a life in just 5 minutes - it could be the 5 minutes that matter most to you and your family. WaterFirst is a FREE community program designed to educ ..